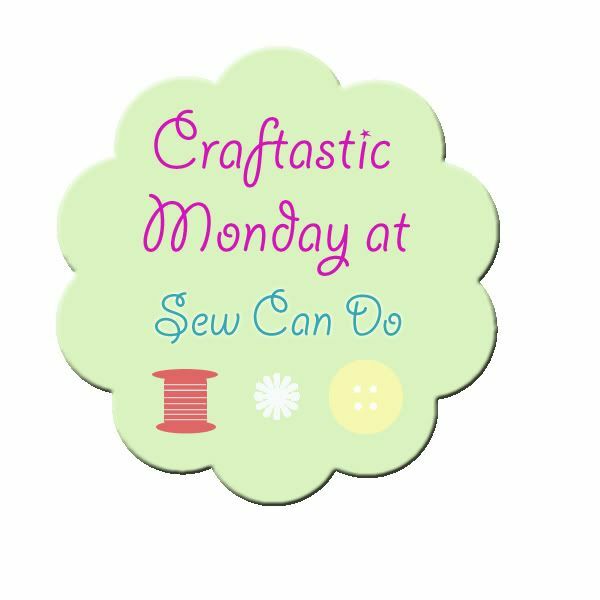 Happy Craftastic Monday Everyone! Are you ready for a fabulous Fourth of July this week? I'd love to see any red, white & blue projects you've got to share - as well as everything else you've been working on. And since there's been a lot of talk about Google Reader going away this week, I hope you'll continue to follow me with bloglovin, or by email, so you can keep up with the latest posts & info. Having you as friends & readers means a lot and I don't want to lose you. You can find Sew Can Do on Twitter, Pinterest & Facebook for even more crafty goodies too, so let's stay connected!! Congratulations Cassandra - enjoy your fabulous fabric stash and a huge thank you to my wonderful sponsor, Sprightly Fabrics, for providing this terrific prize! 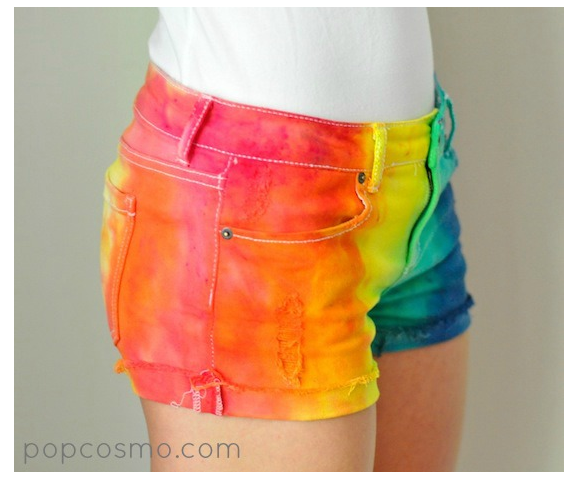 Check out this awesome tie-dye shorts tutorial from Popcosmo. 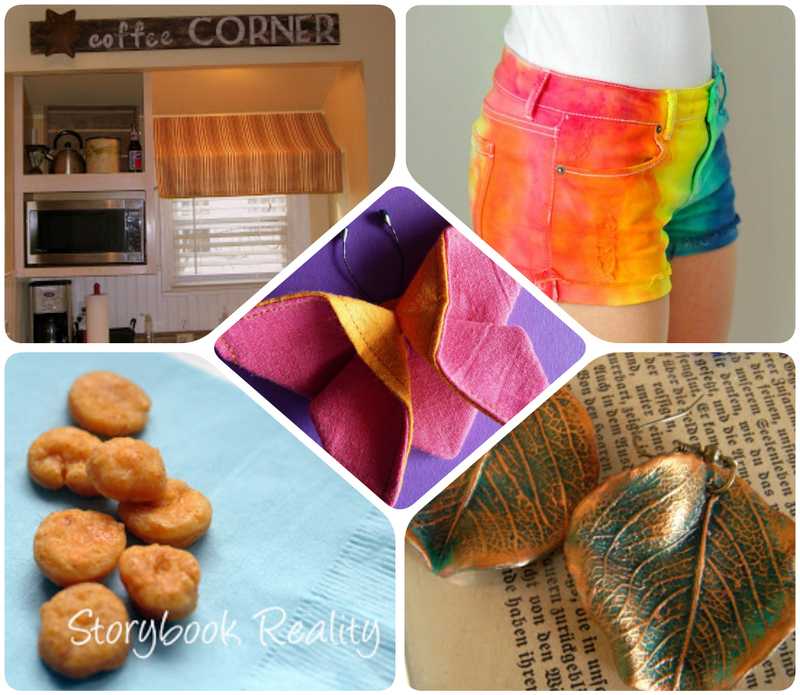 I love the bright colors and that their non-messy method. 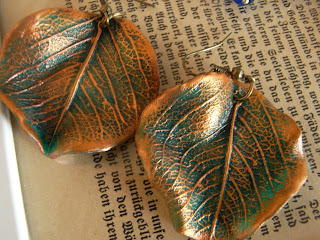 I totally want to make some of these! 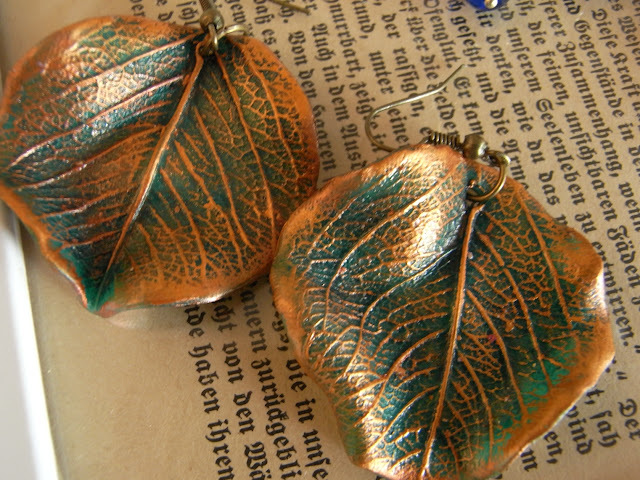 Can you believe these gorgeous leaves are made from Fimo clay? Saraccino shared how to make them - just fabulous! Check out this cute and easy kitchen awning from Saving 4 Six. This is a great project because it adds a lot of style and minimal effort. My kind of DIY decorating! And for some good, summertime snacking, Storybook Reality linked up a kid-pleasing spicy cheese cracker recipe. Hi Cheryl! I hope you have a great start to your week! Thanks! Thanks for the party. Hope you had a great weekend! You're very welcome - be sure to grab a Featured On button. 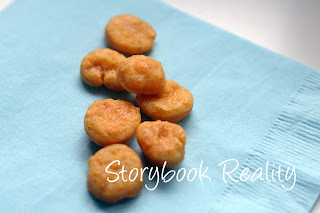 Thanks for sharing such a tasty idea! Thanks for the great party as always, I am following you on all social media! It looks like it is - definitely want to try this. Thanks so much for sharing! Hi Cheryl, thank you for hosting a great party. Hi Cheryl,thank you fot featuring my fabric butterfly. And, I've grabbed a button!! !